I have memories as a young Australian- Greek girl living in a small village of being mesmerized by the busy activity of the kitchen as my mother and grandmother were working on making phyllo. 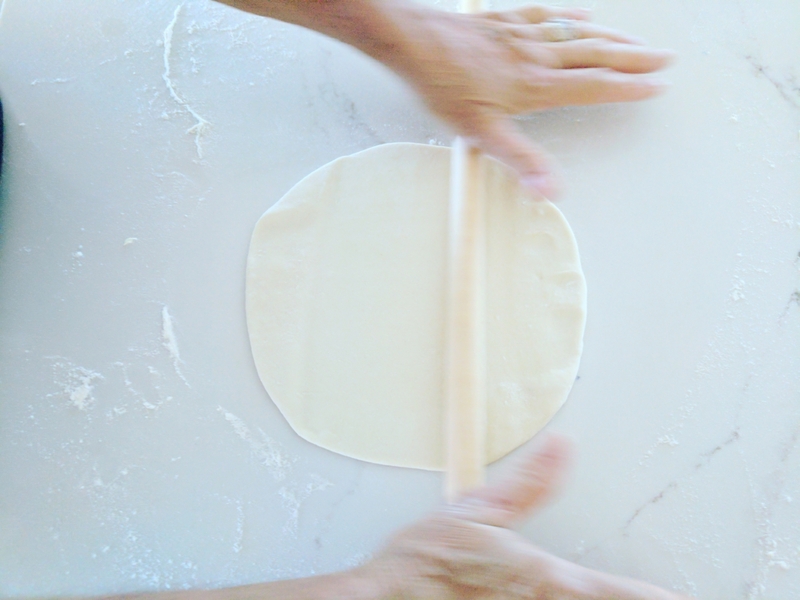 The technique of rolling phyllo into sheets is rhythmic and smooth. 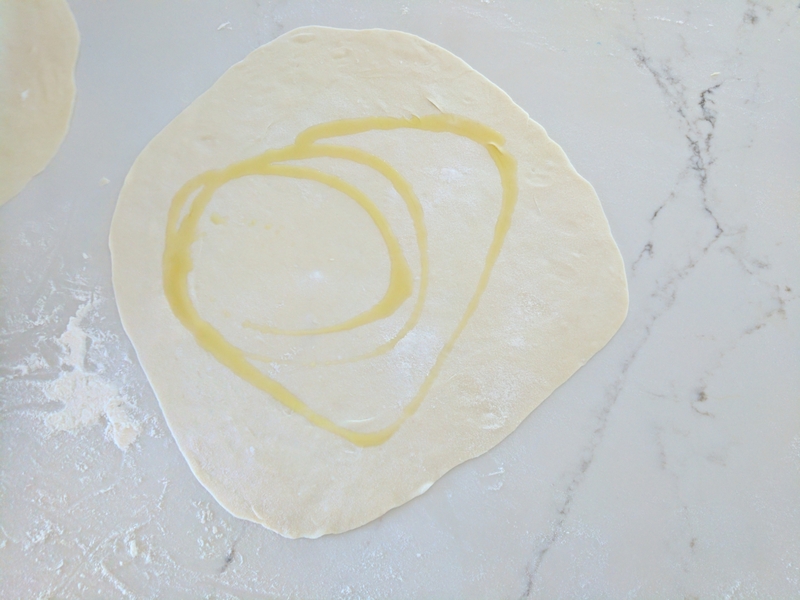 It consists of a roll then a flick of the phyllo dough as it is gradually made into larger round and thin pieces. The flour would consequently lift into the air and form a haze in the kitchen. The dough was made into fine round sheets and placed on the kitchen table and kitchen bench top then covered with a cloth to prevent the sheets from drying out. Greek pastry either savoury or sweet ( like spanakopita or kolokithopita), would be assembled and baked. The smell escaping the kitchen was delicious. Of course those days I didn’t pay too much attention as I loved the outdoors and freedom that came with growing up in a small village. In Australia we tend to buy phyllo from the supermarket and I myself have bought store bought. Even my children notice the difference and once you try the home made variety there is no turning back. Simply add flour to a mixing bowl and form a small well in the centre of the bowl. Add the rest of the ingredients, combine them well with a fork and knead. To knead use the palms of your hand to gently press the dough ball down and slightly away from you then turn over. Press down and away with your palm and turn over again. Repeat for 5 to 10 minutes. Wrap in Glad wrap and place in the fridge for 45 minutes allowed to rest. 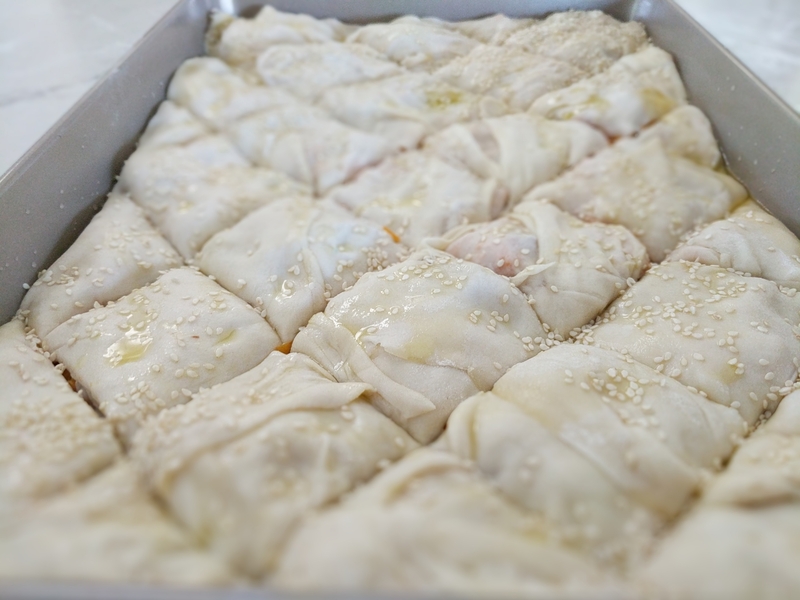 Once you master the technique of making your own filo pastry your food will have more substance, taste extra fresh and delicious. Store-bought filo in contrast is too thin, too dry and lacking in flavour when compared against homemade. Store-bought literally tastes like food wrapped in baking paper it’s worth learning the technique especially when it’s important to have a pleasing result. The best way to describe how this is done is to include a video of it. Who best to show us the technique is my mother who has fine-tuned the technique and I know she was highly respected for it in her village Initiatly I was going to mute the sound of the video but wanted you to hear the sound the sheet makes as it is manipulated. As the sheet is manipulated it is gradually stretched out and is slowly thinner. I don’t make my sheets too large as my baking dishes are not as large as the traditional dishes. Rilling out the dough as it increases in size. The recipe for kolokithopita or Traditional Peloponesse Pumpkin Pie is on the blog.